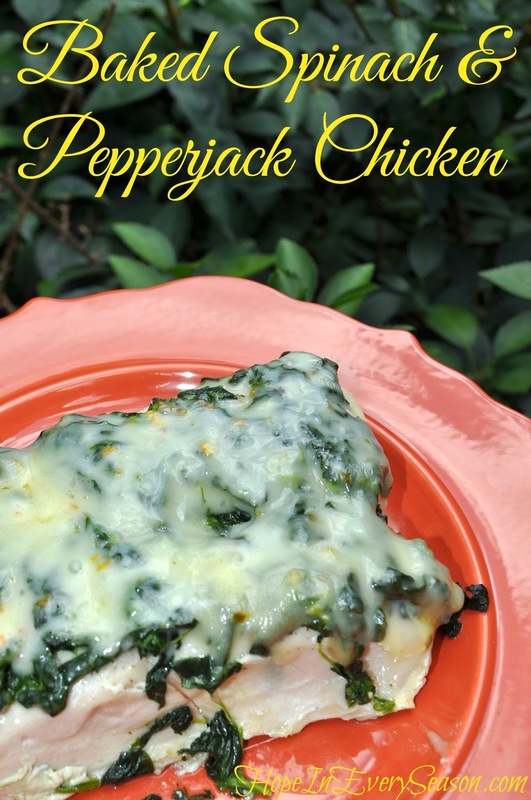 Last week, Elisha, 11, made this super awesome and deliciously healthy Baked Spinach & Pepperjack Chicken dish for our family. It was a big hit! If you're doing the Trim Healthy Mama plan, this is a great recipe for that. Just like we know the importance of feeding ourselves a healthy meal, our family also tries to make sure our pets are fed healthy meals too! 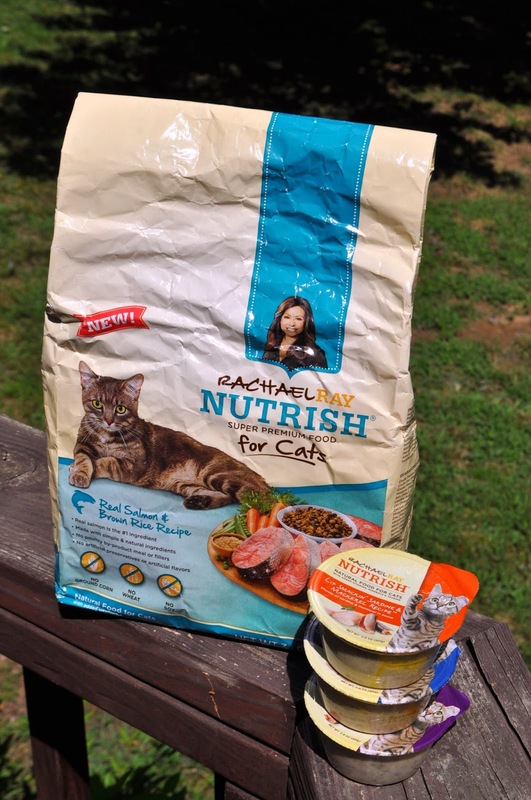 I was really excited to get this great sample package in the mail from Rachael Ray's new line of healthy cat food called, Nutrish. Real meat, like chicken or fish, is the main ingredient in these great blends. There's no artificial flavors or preservatives and you won't find the by-product garbage bits in these tasty (for cats!) recipes. 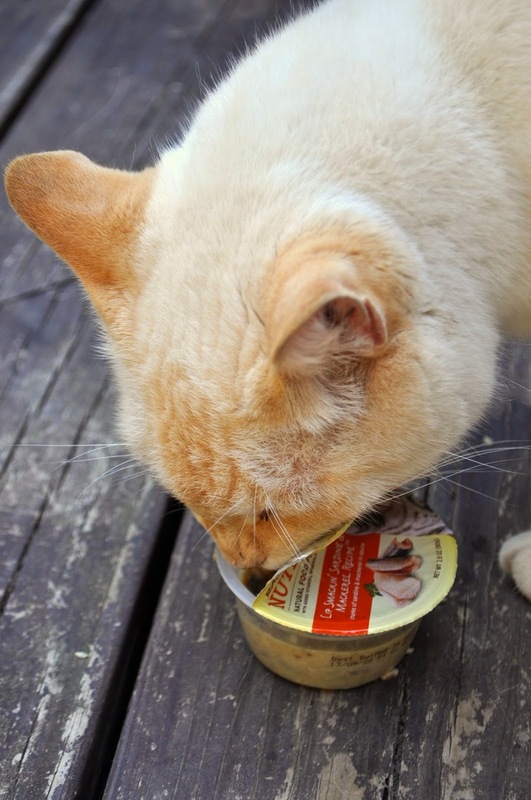 Only simple, wholesome meals with a flavor your cat will naturally love. Make sure to enter the contest at the end of this post to win your own sample of Nutrish for cats. In the meantime, grab coupons here. Here's a list of stores stocking Nutrish. 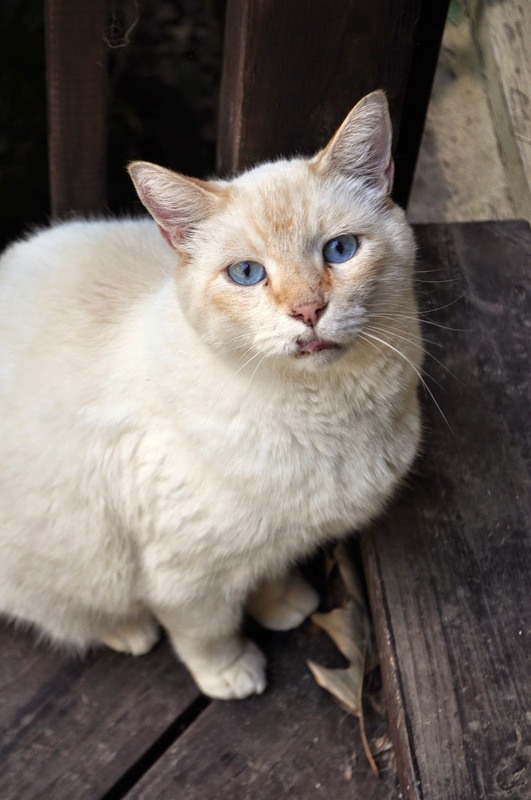 I've featured our Flame Point Siamese cat, O'Neill, before. He's a good cat, and if he didn't shed so bad, I'd let him come in the house! Still, he's been an excellent outside guard cat. I've never seen a mouse and he's really great about fighting off possums and raccoons. See his weird upper lip? That's a raccoon battle scar! We've been feeding O'Neill the Salmon and Brown Rice dry blend all week and he totally loves it! Yesterday, he got to try some Sardine and Mackerel wet food and didn't stop 'til he'd eaten every good bite. We don't give him wet food very often, so it was a real treat for him. Check out his Instagram too see how much he loved this natural food for cats! We like to eat healthy, wholesome foods also. That's why this spinach and cheese dish was such a dinnertime hit. With just three ingredients, Elisha put it together fast and I could feel confident feeding it to the family since I knew what went into it! Place chicken in a greased baking pan and top with spinach. Cover and bake at 350º for 30 minutes, or until chicken is cooked through. Remove from oven and lay cheese across the top. Bake another 10 minutes, until cheese is melted. I am glad to see O'Neil enjoying his good food, I hope I win some for Scarlett... but even if I don't I am going to buy some. I like the ingredients that you mentioned. Nice to know what we are feeding her. Elisha's dinner looks great so I better try that also. Thanks, Sarah. This looks great. Thanks so much for sharing with Wednesday's Adorned From Above Link Party.